After a quiet start to the “Legal Tampering” period, Adam Schefter opened up the NFL Free Agency floodgates late last night. The dominos started to fall around 1:10AM EST with Case Keenum landing with the Broncos, as Schefter released a barrage of tweets leading up until sunrise. Obviously, the Fantasy Football Implications are enormous. The moves are just beginning, however. 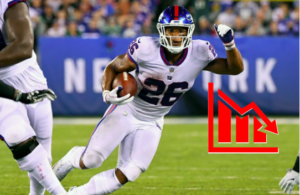 Thus, keep this page bookmarked, and be sure to follow our socials (Twitter and Instagram) for the immediate Fantasy Stock Implications, as we break down who’s rising, who’s falling, and everything in between. Lastly, we’ll be pumping out detailed individual pieces on each signee, including The Wolf’s video breakdowns, and linking them here. When free agency opens Wednesday, former Vikings’ QB Case Keenum intends to sign with the Denver Broncos, sources tell ESPN. First QB domino has fallen. 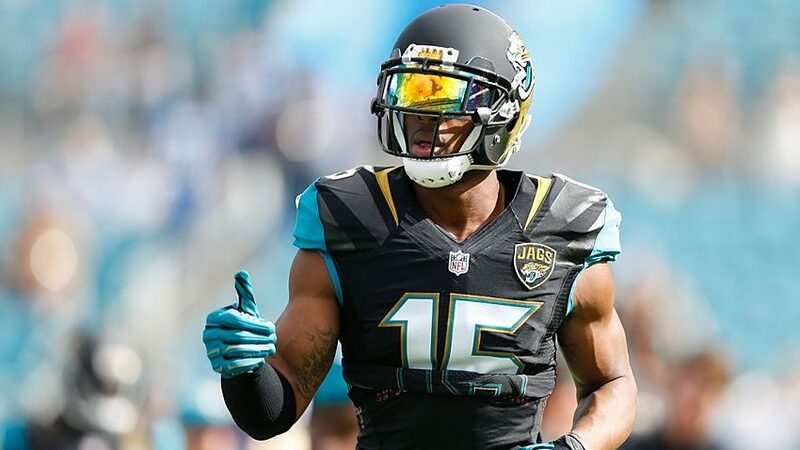 Former Jaguars’ WR Allen Robinson intends to sign with the Chicago Bears barring any last-minute snags when free agency opens Wednesday, source tells ESPN. One of the most surprising deals of free agency will be Jerrick McKinnon's with the 49ers: It is expected to be a four-year deal worth $30 million — an average of $7.5 million per year, per source. When free agency opens Wednesday, former Rams’ WR Sammy Watkins intends to sign with the KC Chiefs, source tells ESPN. Packers intend to sign TE Jimmy Graham to a three-year deal, sources tell ESPN. Will Carlos Hyde fit in the new-look Browns offense? The #Browns are expected to sign former #49ers RB Carlos Hyde, source said. He’s getting a three-year deal worth more than $15M, including $6M in year 1. Taylor Gabriel expected to sign with the Chicago Bears on a 4 year deal. per source. Former Panthers’ G Andrew Norwell intends to sign with the Jaguars on a 5-year deal for $66.5 million, including $30M fully guaranteed, source tells ESPN. He is going to become NFL’s highest paid guard – $13.3 million average. The #Giants are signing LT Nate Solder to a 4-year deal worth $62M, source said, with $35M guaranteed. The highest paid OL in the NFL. ??? Does the Muscle Hamster have anything left in the tank? Former Vikings quarterback Teddy Bridgewater plans to sign a one-year contract with the New York Jets when the new league year officially begins Wednesday, per @mortreport. Will Blake Bortles utilize a tight end, now? The #Jaguars are signing former #Jets TE Austin Seferian-Jenkins to a 2-year worth $10M, source said. He can make up to $11M. @Schultz_Report on it first. The #Bills have signed former #Bengals QB AJ McCarron to a 2-year deal. He’s found a home. The #Dolphins are planning to sign former #Chiefs WR Albert Wilson to a 3-year deal worth $24M when the league year begins, sources say. Danny Amendola is staying in the AFC East… expected to sign with Miami Dolphins per source. Bruce Ellington is going back to the #Texans on a 1-year deal, source said. He may have found a home after he had success there in the slot in 2017. 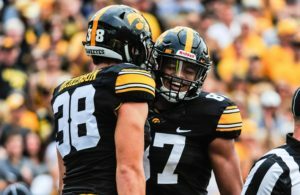 LB Anthony Hitchens to sign with Chiefs; 2018 D/ST with huge scoring upside. The #Chiefs are now adding a big weapon on defense: They plan to sign former #Cowboys LB Anthony Hitchens to a deal worth $9M per year, sources tell me and @TomPelissero. Former Panthers’ DT Star Lotulelei intends to sign a 5-year deal with the Buffalo Bills when free agency opens, source tells ESPN. Trade: The #Browns have traded Jason McCourty to his brother Devin McCourty and the Patriots… They are swapping 6th and 7th round picks this year. Will Sean McVay make something out of the underwhelming Tavon Austin? The #AZCardinals are signing QB Mike Glennon to a 2-year deal worth $8M, source said. He has upside in addition to that. Broncos and Vikings are finalizing a trade for backup QB Trevor Siemian, as @rapsheet said. Broncos will send Siemian and a 2018 late-round pick to the Vikings for a pick in 2019 draft, per source. Former #Texans QB Tom Savage is signing with the #Saints, per agents @schwartzfeinsod. 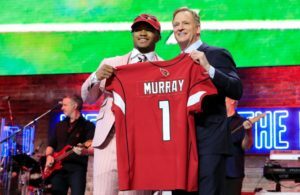 Keep checking back throughout the day as we cover every signee and link more detailed breakdowns every all the Fantasy Football implications.